Abstract: Perhaps the most significant trend in international development over the last 15 years has been the remarkable expansion of South-South Cooperation (SSC). SSC covers much of what the ‘North’ would deem to be aid or ‘aid-like’ flows and activities; but it also blurs and blends with trade, investment and diplomacy. Focusing on Africa-Asia relations, this presentation will examine the unfolding consequences of the sea change in the visibility and influence of SSC that occurred around the early millennium. Three contemporary trends are identified in this lecture: cooperation narratives that are increasingly ‘muscular’, nationalistic and pragmatic; difficulties sustaining claims to ‘non-interference’ in partner countries; and some erosion of ideational distinctiveness. I will explore the re-shaping of relationships, and the tensions, challenges and opportunities they are bringing. 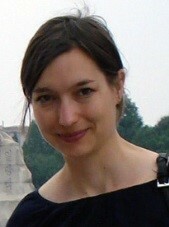 Bio: Emma Mawdsley is a Reader in Human Geography at the University of Cambridge. She is also the Vice Principal of Newnham College, and the Director of the Margaret Anstee Centre for Global Studies. Emma’s research originated in environmental and regional politics in India, before turning to critical inquiries into international development politics. She has worked extensively on South-South Cooperation, and more recently has examined how this and other trends are re-shaping ‘northern’donors. Her book From Recipients to Donors: Emerging Powers and the Changing Development Landscape (Zed Books, 2013) has received wide critical acclaim and will soon be followed by an edited volume on Researching South-South Development Cooperation: critical reflections on the politics of knowledge production (Routledge, forthcoming). Conceptualizations of Afrasia and Afrasian spaces are meant to highlight emerging transregional spaces of interaction and challenge notions of China’s neo-colonization of Africa and South-South solidarities. I attempt to problematize these new conceptualizations by exploring the history of African-Asian engagements between African and Asian unfree laborers, Bandung era Third World solidarity movements, and the treatment of different Asian migrant communities in two African countries, specifically Uganda and South Africa. I argue that it is important to view episodes of Afro-Asian solidarities in the context of Western colonial efforts to privilege Whiteness. Current constructions of Africa-Asian spaces must (1) render the West and Whiteness visible, and (2) address China’s increasing power on the global stage. If Afrasian spaces emerge, we will likely find them in the intimate relationships between African and Asian people. Further, if the concept of Afrasia is to become more widely relevant, it must be embraced by both African and Asians. Dr. Yoon Jung Park is an international scholar and a leader in growing field of China/Africa studies. Her work sits at the intersections of migration studies, African and China studies, work on the Global South, and identity studies. Dr Park is the author of A Matter of Honour. Being Chinese in South Africa (Jacana/Lexington Books) and dozens of articles and book chapters in scholarly publications including Les Temps Modernes, African Studies, African & Asian Studies, Transformation, the Journal of Chinese Overseas, and African Studies Review. Her research focuses on ethnic Chinese in southern Africa and perceptions of Chinese people by local communities, centering on migration, race/ethnicity/identity, race/class/power, gender, affirmative action, and xenophobia. Dr Park has affiliations at the Sociology Department at Rhodes University (South Africa); African Studies at Georgetown University (Washington, DC); and the School of Advanced International Studies (SAIS) at Johns Hopkins University (Washington, DC). She is currently teaching at Georgetown. In addition to her research, writing, and teaching, she is co-founder and Executive Director of the Chinese in Africa/Africans in China (CA/AC) Research Network, an international network of scholars, researchers, graduate students, journalists, filmmakers and practitioners and the digital networking hub (google group and We Chat) for all things China-Africa. Dr. Park has a PhD from University of the Witwatersrand (Sociology); an MA from Fletcher School at Tufts University (International Relations); and a BA from Pitzer College (Sociology and Women’s Studies). She is married and has a 16-year-old daughter. Dr. Park was born in Seoul, Korea; grew up in Los Angeles, CA; lived in Africa (Johannesburg and Nairobi) between 1995 and 2010; and is currently based in the greater Washington, DC area. She has also lived, for brief periods, in Cuernavaca, Mexico; Boston, Massachusetts; and San Jose, Costa Rica. She speaks fluent English and Spanish, kitchen Korean, and smatterings of Kiswahili and IsiZulu. Afrasian Futures is a series of four cutting-edge lectures that mark the conclusion Africa’s Asian Options (AFRASO), a major transdiciplinary research project at Goethe University Frankfurt that has investigated transregional African-Asian interactions and entanglements since 2013. The lecture series casts a critical eye on concepts and terminologies habitually employed in current research on African-Asian relations and explores future perspectives of African-Asian political, social, economic and cultural interactions in a world that has on the one hand become more multipolar and globalized, but that is characterized by a wide-spread return of nationalist and populist politics on the other. Topics covered in the lecture series include new perspectives on critical geopolitics; East African literary responses to China’s past and present involvement in the “Swahili Seas”; past, present and future dynamics of Afro-Asian solidarity; and the future of South-South cooperation. This presentation explores how formerly colonized peoples in Africa and Asia envisioned and transformed their intellectual institutions in the first decades after independence. It focuses on African-Asian university exchanges, which were critical to creating and legitimating postcolonial knowledge and expertise. Several specific projects will be discussed, including a Senegalese-Indian linguistics project and the programs of Pakistani physicist Abdus Salam to develop “Third World” science in Benin. This presentation will analyze the political context for these collaborations and show how it shaped a prioritization of indigenous knowledge in university exchanges, scholarship programs, and research agendas in development policies initiated by African and South Asian countries. The importance of indigeneity politics, I argue, was a critical component of the cultural idea of expertise in Afro-Asian intellectual partnerships. Shobana Shankar examines British colonialism, cross-cultural encounters, and the making of social difference and inequality in West Africa, particularly Nigeria, a nation that has experienced considerable religious violence in recent years. Her research brings an historical lens to Christian-Muslim relations, showing that religious difference has evolved out of complicated negotiations of gender, class, racial, and ethnic dynamics in the context of British and American Christian missionary work in Muslim areas. Her other work has focused on the social and cultural politics of medicine, the link between missions and UNICEF’s early efforts in sub-Saharan Africa, and, as a side interest, gender and racial hierarchies in blues music recording in Jim Crow Mississippi. She speaks Hausa, Kiswahili, Tamil, and French, and hopes to bring these skills to her next project on a history of South Asian-African exchanges of religious culture and “traditional medicines.” In addition to her academic experience, she has worked for UNICEF and Schomburg Center for Research in Black Culture. AFRASO Lecture by Pádraig Carmody (Trinity College Dublin): "Theorising and Researching South Space"
We are delighted to invite you to the upcoming AFRASO Lecture: "Theorising and Researching South Space" by Pádraig Carmody (Trinity College Dublin). The lecture will take place on May, 24th in room SH 0.107 (Seminarhaus, Campus Westend) from 4 pm - 6 pm. The balance of power in international relations and eco nomics is shifting geographically with the rise of Asia, and China in particular. This is giving ris e to new trade and investment patterns, institutions, political practices and regionalise d imaginaries. “ South Space ” is an emergent regionalised imaginary defined by post-coloniality, i ntensifying flows of trade and investment and the development of new institutions, such as the BRICS ’ New Development Bank. How should we conceptualise the nature and impacts of t his phenomenon and how might this inform how we conduct research on transformatio ns in the Global South. Pádraig Carmody lectures in Development Geography at Trinity College Dublin where he is also the chair of the Masters in Development Practice. His research centres on the political economy of globalization in Africa and South-South relations more generally. He also worked as a policy and research analyst for the Combat Poverty Agency in 2002-3 and has consulted for the Office of the President of South Africa, amongst others. His recent books include The New Scramble for Africa (Polity Press, 2016), Africa's Information Revolution: Technical Regimes and Production Networks in South Africa and Tanzania (with JT Murphy, Wiley-Blackwell, 2015) and The Rise of the BRICS in Africa: The Geopolitics of South-South Relations (Zed Books, 2013). Researchers often feel that conventional handbooks have already conclusively laid down the research methods for our disciplines. However, when engaging in empirical work, we experience that the social worlds we study and the academic structures do not correspond with those of our predecessors. Especially in the global South, pervasive political and economic shifts as much as the changes in technologies and mobilities bring to the fore their limitations. Due to the immediacy of these ruptures, and frankly, because these toolkits were not designed for use in these contexts. Instead of following these guidelines, our research practices are perhaps better described as continuous process of improvisation, as messy. They require us to rely on those parts of established tool sets that appear useful, adapt approaches from other disciplines and tinker with new instruments that seem more promising. Our workshop neither aims at establishing new rules, nor writing handbooks for others to follow but rather to share and discuss the methods various scholars have experimented with to produce innovative research. We, as researchers, are currently confronted with three key challenges: Digitalization allows for new modes of interaction, in which neither actors nor their practices can be observed by conventional means. Moreover, it radically expands possibilities for communication between researchers and their interlocutors. The changing character and intensification of mobilities in the global South call for multilevel, cross-national or transregional analyses. Identifying situated knowledge becomes a critical challenge, while simultaneously taking the global into consideration. We contend that similar changes impact us as researchers. Like working in transdisciplinary research groups the internationalization of research affects the ways by which we produce knowledge. It accentuates social differences among researchers, and therefore how we navigate institutional settings. In an attempt to reconfigure the research toolkit, we intend to complement ongoing critical reflections of knowledge production. Specifically, ours is an invitation to embrace the messy methods that make-up our research practices – what our research process is rather than what it ought to be. We invite contributions that examine these topics across various disciplines, including African Studies, Asian Studies, Cultural Studies, Gender and Queer Studies, Geography, History, Literature, Media Studies, Political Science, Social Anthropology and Sociology. Please submit your abstract of not more than 300 words and a biographical note of up to 150 words (as doc or pdf) to the organizers (Bachmann@em.uni-frankfurt.de) by March 15, 2018. Your draft paper (10 pages) should reach us by May 7, 2018. Discussions and findings from the workshop are intended for publication. Limited funding is available to cover selected participants’ travel expenses and accommodation. The workshop is organized by the research programme Africa's Asian Options (AFRASO) at Goethe University Frankfurt. We are happy to announce that the interview with world-renowned scholar Homi K. Bhabha "´Even the dead have human rights´: A conversation with Homi K. Bhabha" by AFRASO scholars Frank Schulze-Engler and John Njenga Karugia with Pavan Kumar Malreddy, conducted on the occasion of our "Afrasian Transformations" conference has just been published in the Journal of Postcolonial Writing. This conversation with the renowned critic and theorist Homi K. Bhabha took place in Frankfurt/Main on November 2, 2016, on the occasion of the Third Annual Conference of the Africa’s Asian Options (AFRASO) project at Goethe University titled “Afrasian Transformations: Beyond Grand Narratives”, where Homi Bhabha delivered a keynote lecture, “Intimations of the Afterlife: On Migration, Memory and the Dialectics of Translation”. Here, he elaborates on the themes of that keynote, which had drawn on the work of Walter Benjamin, V.S. Naipaul and Hannah Arendt to capture the migratory affects of the Syrian refugee crisis. He discusses the enabling impact of anxiety, the dialectics of its translation, and the polarity of the contemporary migrant condition best described in the Benjaminian language of history as montage, or, in Bhabha’s own coinage, as a “camera mortis”. He refers throughout to key concepts in his recent thinking, such as “scales of affect”, “natality/fatality” and “camera mortis”. AFRASO Lecture by Sabine Burghart (University of Turku): "South Korea’s Foreign Aid: An East Asian Exception?" We are delighted to invite you to the upcoming AFRASO Lecture: "South Korea’s Foreign Aid: An East Asian Exception?" by Sabine Burghart (University of Turku). The lecture will take place on January, 24th in room H 10 (Campus Bockenheim, Hörsaaltrakt (Gräfstr. 50)) from 4 pm - 6 pm. With the emergence of a growing number of donor countries and new institutions, such as the China-led Asian Infrastructure Investment Bank, a “silent revolution” (Woods 2007) of the aid architecture has been underway. The rise of new donors has led to more competition in the aid system, allowing recipient governments “more aggressive bargaining” (Whitfield 2009: 364). South Korea joined the OECD-DAC in 2010 and is still a relatively small donor concentrating its official development assistance (ODA) in Asia. China has become an important player in Africa, while Japan – the first Asian OECD-DAC member – has traditionally channelled its aid to Asia. Studies on East Asian donors show several commonalities with regard to aid-giving, such as the allocation of aid predominantly to sectors of economic and social infrastructure (e.g. Stallings and Kim 2016). Moreover, East Asian ODA is usually part of a larger economic package of loans, credits and foreign direct investment (Stallings and Kim 2016) and based on a close relationship between the public and private sector in the donor country. Bearing in mind that China and South Korea used to be the top recipients of Japanese foreign aid for decades, these commonalities are considered “very natural” (Iwata 2012). This observation has prompted some scholars to speak of ‘a distinct Northeast Asian model of ODA’ (Reilly 2012). The lecture introduces the three East Asian donors, presents similarities and differences of East Asian aid and discusses whether South Korea’s ODA aid is an East Asian exception. Kim, Eun Mee, Pil Ho Kim and Jinkyung Kim: ‘From development to development cooperation: foreign aid, country ownership, and the developmental state in South Korea’, The Pacific Review, Vol. 26, No.3 (2013), pp. 313-336. Lumsdaine, David and James C. Schopf: ‘Changing values and the recent rise in Korean development assistance’, The Pacific Review, Vol. 20, No.2 (2007), pp. 221-255. Stallings, Barbara and Kim, Eun Mee (2016), ‘Japan, Korea and China: Styles of ODA in East Asia’, in Hiroshi Kato, John Page and Yasutami Shimomura (ed), Japan’s Development Assistance: Foreign Aid and the Post-2015 Agenda, Basingstoke: Palgrave McMillan, pp. 120–134. Sabine Burghart is University Lecturer and Academic Director of the Master’s Programme in East Asian Studies at the Centre for East Asian Studies, University of Turku (Finland). She holds a PhD degree in East Asian economy and society from the University of Vienna and a MA degree in political science from the University of Leiden. Ms. Burghart spent more than five years of her professional career in Korea; between 2004 and 2007 she managed various capacity building projects and facilitated three EU-DPRK economic workshops in North Korea. Her current research interest is on South Korea’s ODA in Tanzania. AFRASO Lecture by Seifudein Adem (AFRASO Fellow 2017): "Japan and China in Africa: Allies, Partners, or Adversaries?" We are delighted to invite you to the upcoming AFRASO Lecture: "Japan and China in Africa: Allies, Partners, or Adversaries?" by Seifudein Adem (AFRASO Fellow 2017). The lecture will take place on January, 18th in room SH 2.108 (Seminarhaus, Campus Westend) from 4 pm - 6 pm. In January 2014 Japan’s Prime Minister Shinzo Abe visited Ivory Coast, Mozambique and Ethiopia. In May 2014 Premier Li Keqiang of China visited Ethiopia, Nigeria, Angola and Kenya. In December 2015 President Xi Jinping was in Johannesburg, South Africa, for the 6th Forum on China-Africa Cooperation meeting. In August 2016 Prime Minister Abe was in Nairobi, Kenya, for the 6th Tokyo International Conference on African Development meeting. Japan opened its first overseas military facility in the post-World War II period in Djibouti in 2011. China opened its first overseas military and naval facility in Djibouti in 2017. Apart from the above overlapping visits, events and activities, it is clear from the pronouncements of Chinese and Japanese leaders and diplomats that there is a contest between the two countries for influence in Africa. More recent developments also suggest Sino-Japanese rivalry in Africa is well underway. China and Japan are trying to cope with changes in the international system, their region and domestically. The patterns of their relationship with Africa also reflects this reality. In other words, the unfolding Sino-Japanese rivalry in Africa is a by-product of the growing power of China as well as its global ambition and the anxiety this has caused in Japan, a situation which is additionally fueled by the centuries-old love-hate relationship between the two countries. But it is only in the 21st century that the two countries have both acquired the status of major powers simultaneously. Naturally, this makes it difficult for us to look back for clues about their future behaviors in Africa, and beyond. But it is almost certain that Africa would continue to provide a fertile ground for Sino-Japanese rivalry. Although Japan and China have no legitimacy deficits and are respected by Africans, the two Asian powerhouses have overlapping and, potentially divergent, interests in Africa. What are the causes, manifestations and, more importantly, potential consequences of Sino-Japanese rivalry in Africa? And what are the wider implications for Africa? Seifudein Adem is the 2017 AFRASO Research Fellow at Goethe University Franfurt, Germany. He is also the former Associate Director (2006-2016), Institute of Global Cultural Studies, Binghamton University, New York, USA. His recent publications include AFRASIA: A Tale of Two Continents (University Press of America, 2013) and China’s Diplomacy in Eastern and Southern Africa (Ashgate, 2013; Routledge (reprint), 2017).